We started as a gold dealer in the famed Gramercy neighborhood in Manhattan. We’ve grown to a national seller of gold and silver, and now we are on the cutting edge of alternative investing by offering Bitcoin, Ethereum, and other Altcoins for your IRA, and outside of it. If you are interested in investing your IRA or 401(k) in bitcoin but don’t want the negative tax implications of surrendering the retirement funds, we can help you avoid the tax. We’ve had years of experience helping people open “physical gold IRA’s”. Now, we’ve drawn on that experience to become one of the first and most sophisticated sellers of the “bitcoin IRA”. As alternatives to bitcoin have quickly risen in popularity, we understand that people may want to diversify their portfolio outside of bitcoin alone. We can help you invest in other coins such as Ethereum, Ripple, Bitcoin Cash, Cardano, Lite Coin, and others. Bitcoin returned over 1,000% in 2017 alone! That represents about a 988% higher return than the stock market average. Many other alternative coins also returned over 1,000% in less than a year. Imagine what that type of growth can do for your investment portfolio. If you are interested in a professionally constructed account containing cryptocurrency, give us a call today or fill out our form and we will contact you within a couple business hours. You can even roll over your 401(k) or other retirement money. We are a multi generation gold dealer with decades of experience. We strive to bring fairness to every transaction for a simple reason: we depend on our clients for repeat business. We want to make you money. We work with people from all walks of life. We believe in respect, openness, and truthfulness in all our interactions with every client, no matter how big or how small the deal is. Our team of advisors works hard for you. We work to get you the lowest price anywhere by sourcing our gold products from the relationships we established over many years. Confidentiality is key, and we maintain the strictest privilege and privacy. As a family owned business we strive to make every transaction successful for our clients because we depend upon satisfied clients to come back to us over and over and to refer others to us. Call today to speak with one of our friendly specialists. At Gramercy Gold, we work with all types of clients. We know that not everyone is the same, but the commonality among everyone they work with is that they can benefit in some way from owning Cryptocurrency, Gold or other precious metals. We can help you fit gold into your overall investment portfolio. Whether you want to increase the rate of return on your retirement account, give yourself a hedge against inflation or currency collapse, add diversification of your portfolio, or you want an alternative to paper money, we can help. Contact Gramercy Gold today to learn how to start putting gold to work for you. If you are worried about security, so are we. That is why we created a hack proof storage for your bitcoin or other alt-coin account. We guarantee the safety of the account, so you can have peace of mind. Ask our representatives about the measures we have in place to keep your coins safer than any other storage system on earth. We believe in offering our clients a wide array of coins, bars, and precious metals to fit each of our client’s individual needs and preferences. Each item can be ordered in any quantity and orders can have mixed items as desired. Our gold and other precious metals are all investment grade. We offer physical delivery of your gold within 7 days of your order being placed. We can deliver FedEx, UPS, or USPS. This means that your gold will be where it belongs, safe in your possession, almost immediately. The stock market is a roller coaster. The Wall Street casino takes fees from clients and subjects them to randomness and flash crashes. Gold is different. Gold is stable. Gold has become more and more valuable over thousands of years. There are no ongoing fees to owning gold like with mutual funds. We prefer our clients own gold over stocks. Rolling your IRA or 401(k) into gold is one of our specialties. Not many companies in the world are equipped to do this properly and legally without incurring tax obligations for you. You can roll over a portion or all of your IRA or 401(k) to physical gold ($5,500 minimum). Not only is it a tax free transaction for you, and you can save up to $700 off your gold purchase price if you roll over today. Our registered trustee can help you with storage or we can help you take possession of your purchase. You can also choose to invest in other metals such as silver, platinum, or palladium. Fill in the form or call to learn more. Because gold prices are constantly moving, all orders must be placed by contacting us directly. For our latest prices, ordering information, or if you would like to request a gold kit, please feel free to call us toll free anytime at 1-855-460-5239. You may also fill in our form and we will contact you at your convenience and send you our gold investment kit. At Gramercy Gold, we have a reputation for offering the most competitive prices in the industry. We know that you make the most on your investment when you buy for the lowest price possible. We save by sourcing gold in bulk quantities from the largest and most efficient commercial suppliers. We pass our savings on to you because we value a long term relationship, and we want your business for years to come. Our mission is to set the industry standard in price, quality, and service. Gramercy Gold is a full service gold seller located in Manhattan, New York, NY. 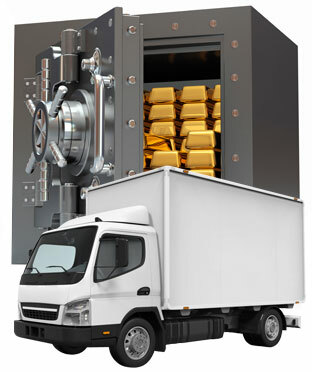 Shipping worldwide, we offer clients access to pure gold bullion and other precious metals at competitive market prices. 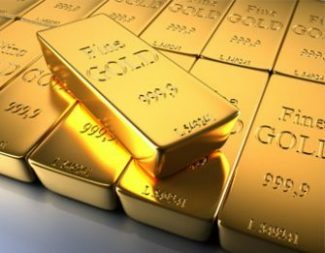 Whether you are in the market for gold bars, gold coins such as Krugerrands , or gold proof coins, we are able to ship gold directly to you quickly, safely, and securely. We also offer other investment metals such as platinum and silver, available for delivery to you in the quantity you need. For buyers of cryptocurrency, we help you keep them in the safest form of storage so that they can’t be hacked or stolen! We offer one of the most innovative products in the industry, the Physical Gold IRA. You can open a new account, or you can roll money over from an existing retirement account, allowing you to convert your 401(k) or IRA account into an IRA account held entirely in physical gold. This is not a gold index or gold derivative, your account is invested in 100% real physical gold. Gold has consistently performed as an investment over a long period of time, and it provides a strong hedge to both inflation and market shocks. If you are interested in trusting all or even a part of your retirement savings to physical gold, we can help.